Scott McVicker is the Chief Operating Officer at Green and Healthy Homes Initiative in Baltimore, Maryland, USA. Prior to arriving at GHHI, Scott served as the Chief Operations Officer at the NTL Institute where he successfully delivered the organization from the brink of financial insolvency to a state of stability and growth. As a Director at the Johns Hopkins Bloomberg School of Public Health, he earned numerous appointments including key incident command leadership positions, committee chairmanships, and advisory board memberships. In both roles, he led operations that consistently achieved success through efficient delivery of programs, astute management of costs and resources, and unparalleled levels of customer satisfaction by building highly effective teams and emphasizing staff development. Scott is driven by a lifelong commitment to the service of others as exemplified by his 8 years of military service, work in support of public health and the elimination of health disparities, and his passion for the GHHI mission to ensure that homes are truly safe havens and not the cause for injury and illness. He has dedicated over 15 years of volunteer service to the Soccer Association of Columbia in a variety of roles including board member, coach, age group coordinator, tournament manager, treasurer, and as a USSF certified referee. He is also a strong supporter of Special Olympics and a frequent Polar Bear Plunge participant. 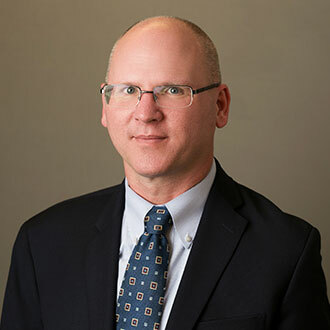 Scott earned his MBA from Johns Hopkins University in Baltimore, Maryland and his BS in Management with a concentration in Finance from St. John Fisher College in Rochester, New York.